Before it became the sweet summertime treat it is today, the watermelon was one foul, functional fruit. In fact, the wild watermelons of ancient times would hardly be recognizable to even the most seasoned Citrullus connoisseurs of today. Firm, seedy, and pale green on the inside, they were characterized by their bland or bitter taste. 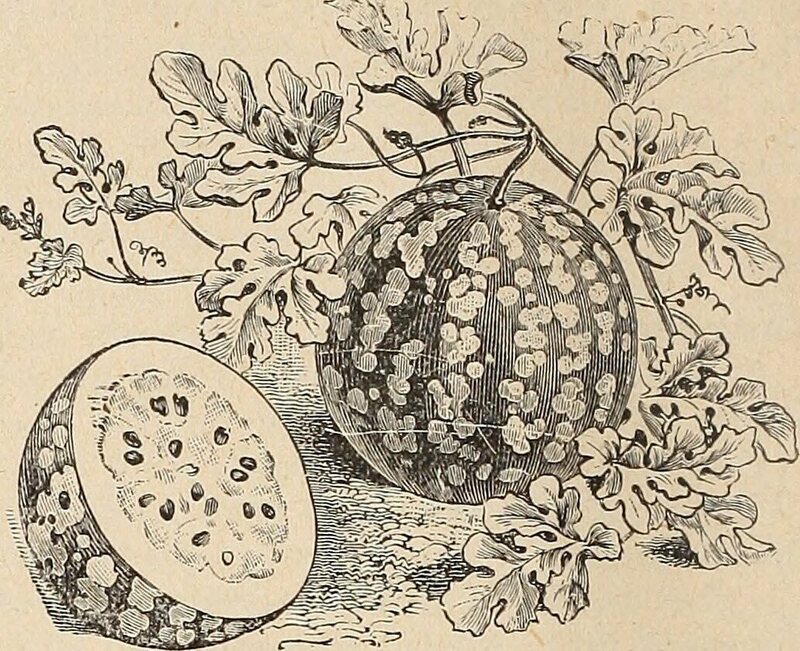 But despite their rather unpalatable flesh, they were evidently important fruits to keep around. In fact, they were cultivated for hundreds of years before they began to taste like something worth plating. Native to Africa, watermelons have been grown throughout the continent since ancient times. In southwest Libya, 5,000-year-old seeds were excavated, and watermelon remnants from 1500 B.C. have been discovered in the foundational deposits beneath walls of a Sudanese temple. Archeologists have also found seeds and paintings of various species of watermelon in ancient Egyptian tombs dating back from as long as 4,000 years ago. These species include wild watermelons, as well as the oblong predecessors of the “dessert” watermelon. But if not a flavorful fruit, what were these watermelons good for? According to the work of Harry S. Paris, a horticulturalist at the Agricultural Research Organization in Israel, ancient Egyptians likely harvested the round fruit for its water. Wild, or “spontaneous” plants, Paris writes, can be sources of clean water during the long, dry season, and can provide food for livestock and animals. This might explain why watermelons were found in pharaoh’s tombs, as Paris told National Geographic, such as that of King Tut. Pharaohs would need to stay hydrated on their long journey to the afterlife, and watermelons might be the best way to provide water. Living travelers, too, needed reliable water sources to sustain them. According to Paris, it’s likely that travelers took watermelons with them as a kind of nature-made canteen. Along with trade, he writes, the watermelon’s role as a portable fresh water supply helped the fruit find its way into new regions. Once the Greeks got a hold of the pepo (as they called it) around 400 B.C., they, too, put it to use. While some varieties were eaten (and others had to be boiled, fried, or simply avoided), the watermelon made a splash in the medical world. Pliny the Elder found pepones to be incredibly refreshing, and, according to one translation, “also laxative.” The first-century physician Dioscorides also noted that the pepon was cooling, wet, and diuretic. Slightly more charming than its water-inducing properties was the watermelon’s alleged ability to help folks stay cool. According to Greek physicians, watermelon rinds placed atop a small child’s head could treat heat stroke. But by the first few centuries A.D., posits Paris, the watermelon had likely sweetened up. Writings in Hebrew from the end of the second century, as well as sixth-century Latin texts, group the watermelon with other sweet fruits, including pomegranates, figs, and grapes. And though it still was far from the modern-day melon, it was well on its way to becoming something sweeter.